When Robert Prey landed a teaching position at the University of Groningen last June, he didn’t know a great deal about the small Dutch city. “When you’re offered your dream job as a tenure-track professor,” he explains, “You take it, regardless of location.” At that point, Prey – who was wrapping up his PhD in Communication at Simon Fraser University – typed “Groningen” into Google, and was pleasantly surprised with the results. 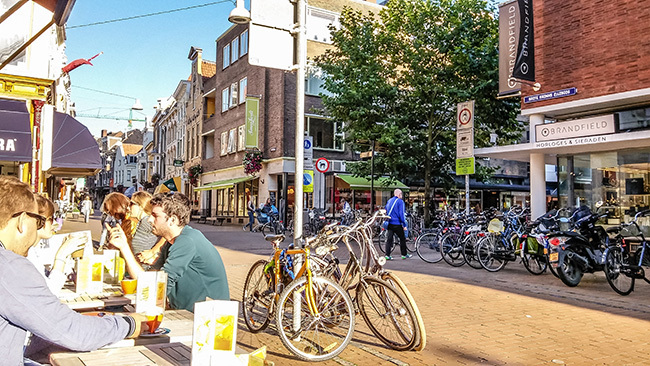 Situated 180 kilometres northeast of Amsterdam, Groningen is very much a college town, with students making up nearly a quarter of its 200,000 residents. It’s also very much a cycling town, a result of its compact size (as a former fortress), and a series of decisions made in the 1970s to restrict the movement and storage of cars, and prioritize the bicycle as a mode of transportation. The city now boasts 1.5 bicycles per resident, and almost two-thirds of trips in the centre are made by bike, the single highest mode share in the world. And so, Prey, his partner Seonok, and their four-year-old daughter, Alex, packed up their apartment at 13th and Cambie, and made the 8,000-kilometre journey to the Netherlands, unsure of what surprises awaited them in their new hometown. Coming from Vancouver, that bike culture shock was particularly striking, as Prey wasn’t accustomed to seeing people of all shapes and sizes, pedalling around on beater bikes, at slower speeds, dressed for the destination, without the requisite headgear. “We were warned that only the German tourists wear helmets,” he says quite seriously. For the first few months, Robert and Seonok ended up housesitting for a colleague’s father-in-law, and had unrestricted access to a cargo van, but seldom found themselves wanting – or needing – to make use of it. 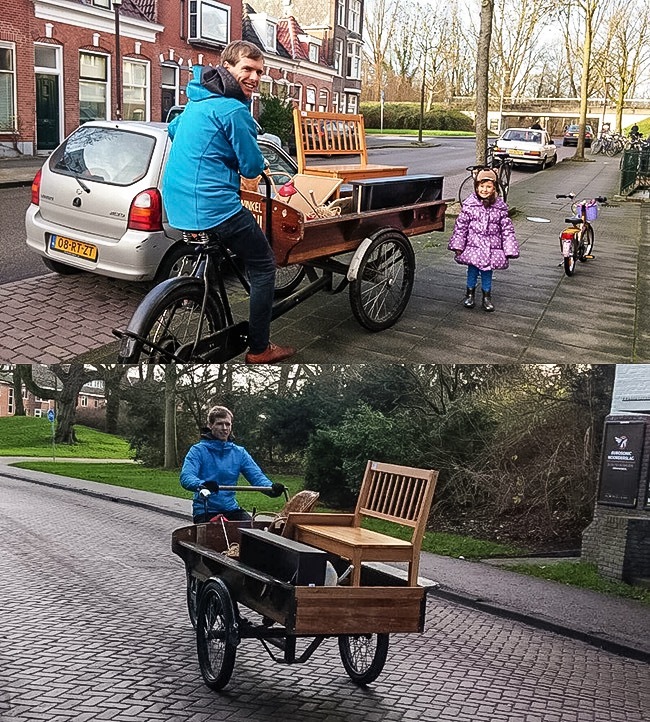 “Everything in Groningen is measured by how long it takes to arrive by bike,” Prey explains, “And nothing is ever more than 15 minutes away.” Even on the occasion of purchasing a new sofa, the furniture shop in question lent them a “bakfiets” (Dutch for “box bike”, or cargo bike), and Robert happily pedaled it home. 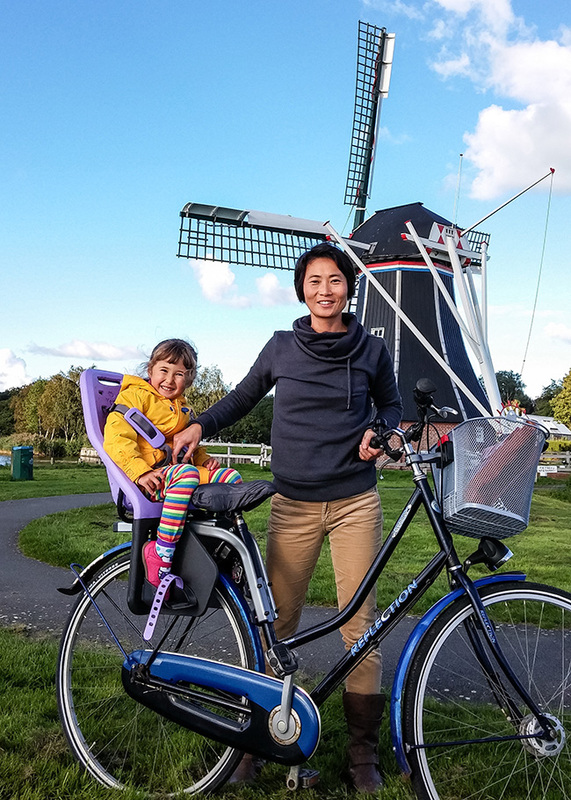 By seeing firsthand how Dutch cities seamlessly combine two-wheeled travel with a fast, frequent, and affordable regional rail system, they began to understand why automobile ownership remains a rarity for many families there. But the most pleasant part of living in a cycling city has been the social aspect of day-to-day life. In addition to the warm interactions he has with both neighbours and strangers on the morning commute, Prey loves arriving in class to teach, and finding most of his students cordial and attentive. The family hopes to call Groningen “home” for the immediate future, but the circumstances that took them there could easily take another unexpected twist. For now, they’ll make the most of their extraordinary surroundings, and continue to live as the locals do. 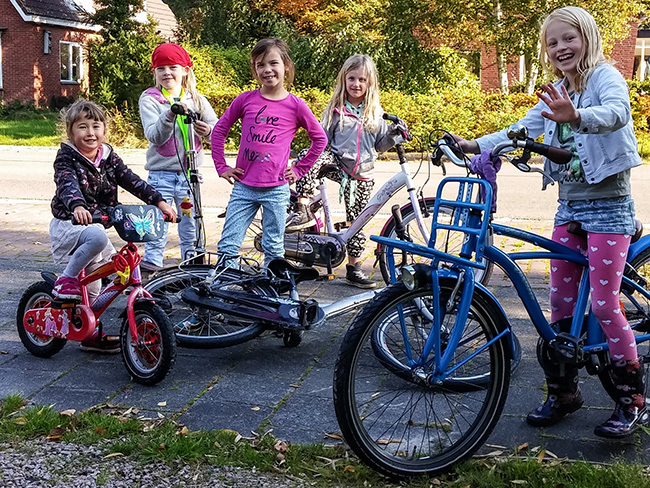 This summer, they look forward to getting outside the old fortress city, and exploring some of the countryside by bike, a luxury afforded to them by the incredible rural infrastructure connecting many cities and towns across the Netherlands. And with that, you could say their assimilation into Dutch culture will officially be complete. Did you enjoy this story? There will be more like it in the coming months, as Modacity prepares for a five week, five city (Amsterdam, Eindhoven, Groningen, Rotterdam, and Utrecht) tour of the Netherlands this summer. Upon our return, we will be writing five exclusive articles for Vancity Buzz, each designed to tell the unique story of every city we visit. Read more about our adventure here, and – if you value the work that we do – please consider contributing to our crowdfunding campaign here.